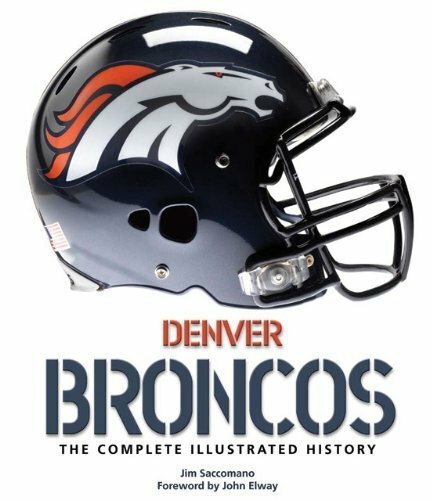 For those that are into Broncos history, check out this excellent new book – Denver Broncos: The Complete Illustrated History. The book was written by Broncos VP of Public Relations, Jim Saccomano, and offers a fascinating look at one of football’s most beloved teams, from its early years as Denver’s only major sports franchise, through legendary on-field moments like “The Drive,” to the stars of today. Profiles of stand-out players, season recaps, details of crucial games and plays, and the stories behind the great teams are complemented by almost 200 color and black-and-white images documenting the team’s history.